If You’ve Always Been Obese, Have You Ever Wondered What ‘Thin Life’ is Really Like? It’s not news to anyone that we have an obesity epidemic in the U.S., since the numbers show that two-thirds of adults are overweight or obese. Some of you reading my words today may be new members of this growing epidemic and have never dealt with severe weight issues in the past. I, on the other hand, know exactly what it feels like to be included among these numbers — for over two decades. Obesity is all I ever knew. You may be right there with me. If so, this post is for you. Throughout my life I only wished for one thing: to be thin. The reason behind it had nothing to do with any concerns regarding my future health; no, I longed to be thin so that I could be considered normal. Do you agree with me on this? I feel that only those individuals who have always been obese can understand my reasoning. We simply want to look normal, feel normal, do normal things and be treated normal by others. When your life has only consisted of being overweight, you long for the normal life because it appears to be, well … perfect. I’m going to share some amusing truths with you, and I want you to keep a positive attitude while reading them, OK? This isn’t meant to create sadness for you — that’s the last thing I want to do. My intent is to allow you to realize that you, too, can change like I did. I’m just a typical middle-aged mother of three from a small town in Michigan. 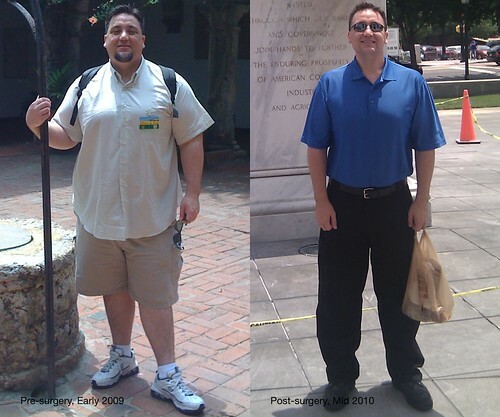 I overcame my obesity without any use of gimmicky diets, special programs, exercise equipment and it was free. I simply walked daily and began eating better. Because of those two factors, I lost 162 pounds. So yes, now I know a new way of life and I’m loving it! Some of the things that I wondered about as far as being normal I’ve listed below. …get out of bed each day not worried about dieting and losing weight? It is refreshing and has a way of increasing your energy level — and you begin each day on a positive note! …look in your closet knowing everything fits and not be a bit concerned about your pants being too tight? This is great because getting dressed for the day is now enjoyable and I have countless choices of clothing styles, which yes … includes any brand of jeans, lots and lots of jeans! …not worry about people or coworkers secretly discussing how much you eat each day? Now I eat healthy, obviously, but it’s really nice not to hear people whisper about what I eat! …sit in any vehicle and know that the seat belt fits around you? It’s great to get into any car, truck or van and know that I can click on any seat belt — no more embarrassing “it doesn’t fit” moments. It’s also nice not to worry about breaking a chair when sitting on it; I sit on a tiny chair with no concerns now. …visit any clothing store and not stress about finding something big enough to fit? This may be one of my favorite things to do now — I can enter any clothing store and find several items to choose from! A bonus: size small, which is my size now, is often on sale! Woo hoo! I really enjoy saving money, a true added bonus. …put on an item of clothing and feel good wearing it? No, I never thought this would happen, but it has. Pants, shirts, tops, dresses — just about everything I want to wear, I do. It feels awesome to be able to wear anything and smile instead of cry. …not be laughed at as you pass by a group of people? This was probably one of the worst things about being obese. The laughter from others has finally ended and my entire body can relax now. The tenseness in me was overwhelming before as I despised being seen in public. These days, I speak publicly and I find myself holding my head high knowing that I did it! I overcame the obstacles of my past and looked towards my future — a healthy, normal future. My true passion is to help others to do the same. If you would like me to speak about healthy living at an upcoming event to help people overcome their obstacles, please fill out the online form and maybe I’ll be seeing you in the future! Hi Yasmine, thanks for reading. You may be interested in creating a HealthyMe profile to help achieve your health goals. You can check it out here https://www.ahealthiermichigan.org/healthyme/.